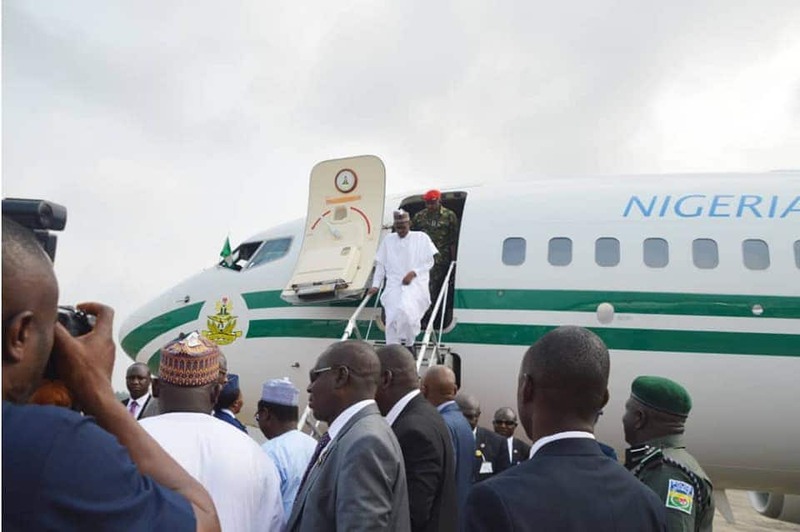 The News Agency of Nigeria (NAN) reports that the presidential aircraft conveying the president and members of his entourage including some of his personal aides and three state governors landed at the Hassan Djamous International Airport N’Djamena at about 9.40am. Legit.ng gathers that those at the airport to welcome the president included the ministers of foreign affairs and interior, Geoffrey Onyeama and retired Gen Abdulrahman Dambazau. Others were minister of defence, retired Brig Gen Mansur Dan Ali; national security adviser to the president, retired Maj Gen Babagana Monguno and the Nigerian charge d’Affaire, Nasiru Waje. A statement by presidential spokesman, Malam Garba Shehu, on Friday, April 12 said the leaders would deliberate on state of peace and ways to address multifaceted threats in CEN-SAD area, especially Boko Haram and refugees. Sudan which is a member of CEN-SAD may not be represented at the meeting following socio-political uncertainties in the country caused by the removal of President Omar Al-Bashir from office by the Sudanese military on Thursday, April 11. Al-Bashir, had earlier indicated interest to attend the CEN-SAD meeting holding from Friday, April 12 to Saturday, April 13. Recall that Legit.ng previously reported that to participate in the extraordinary CEN-SAD session. Malam Garba Shehu, the president’s senior special assistant on media and publicity, confirmed the movement in a statement released in Abuja.